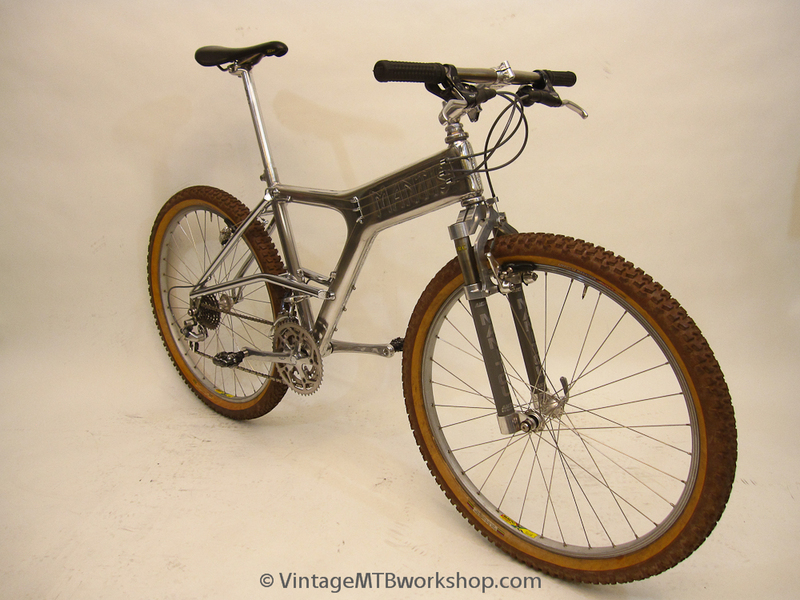 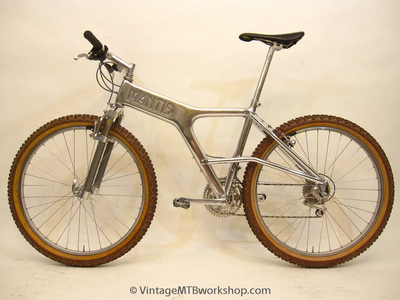 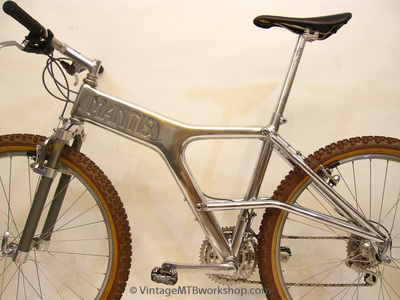 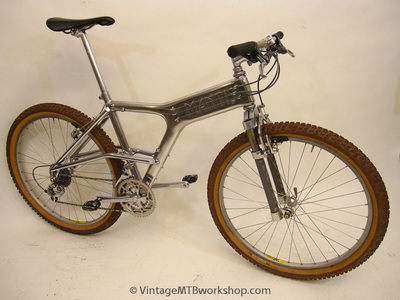 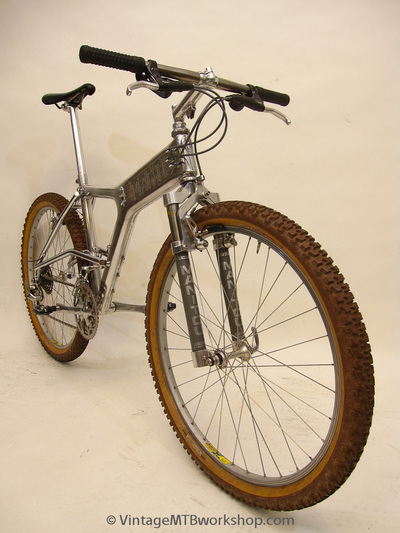 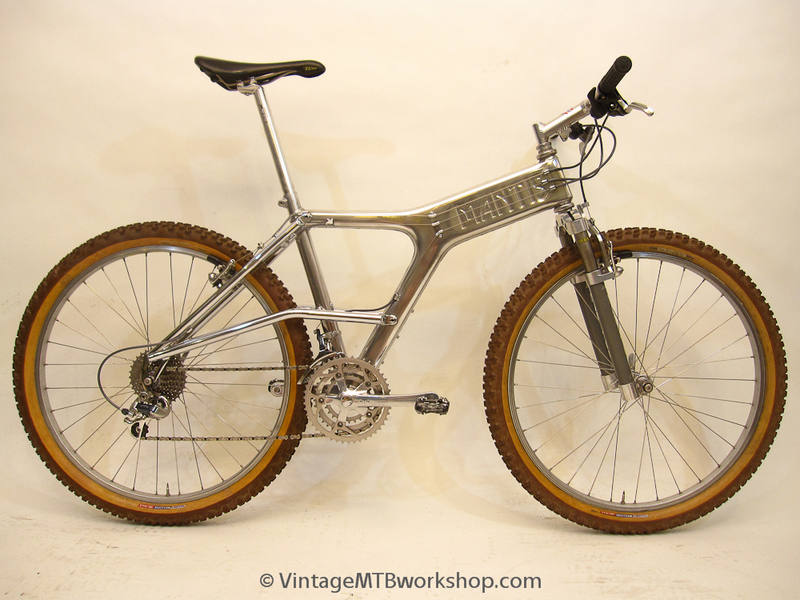 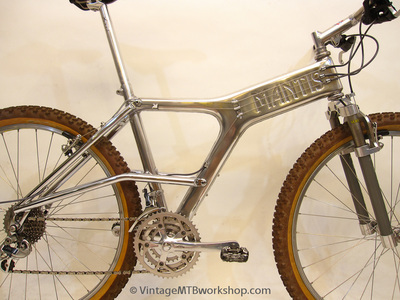 The radical looking Mantis Flying V first appeared in 1990 and was featured on the cover of the October issue of Mountain Bike Action magazine. 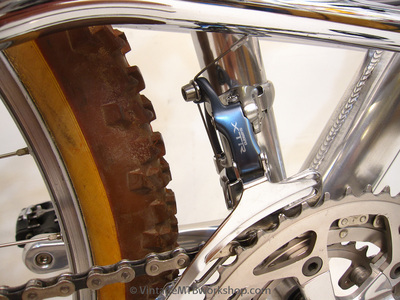 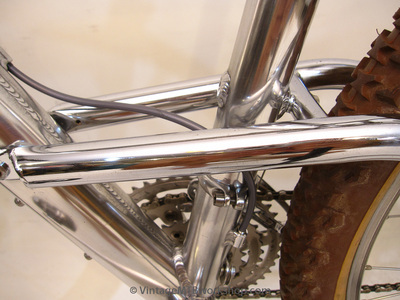 Although the chromed rear end was slightly different than the Mantis XCR-EC, it continued the mix-material, elevated chainstay concept. 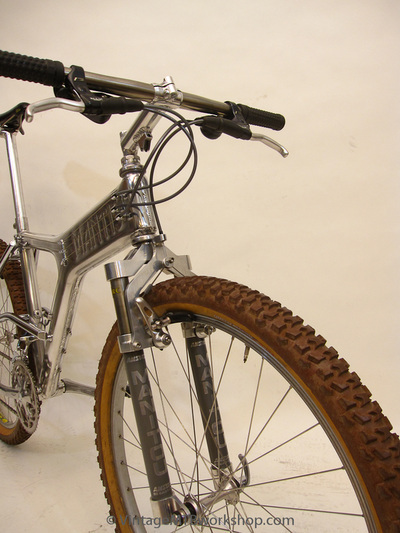 Rather than using tubular aluminum, the front end of the frame was created using a monocoque technique. 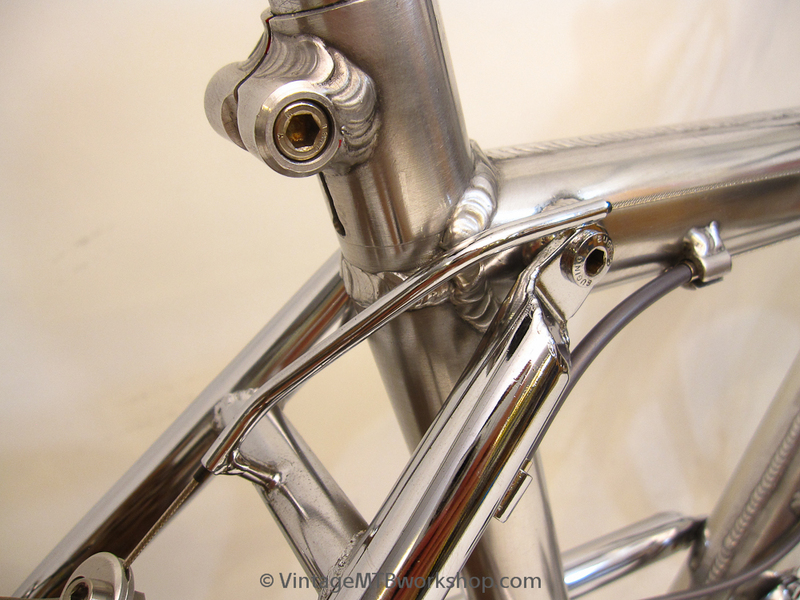 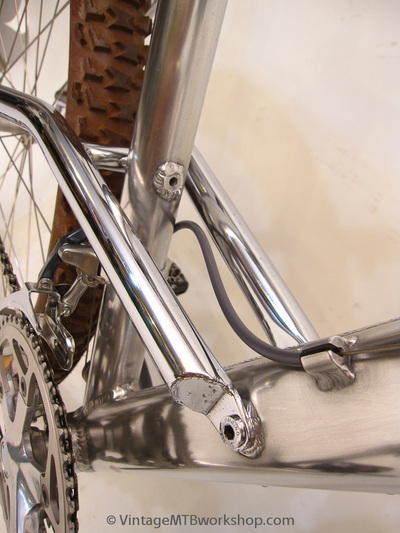 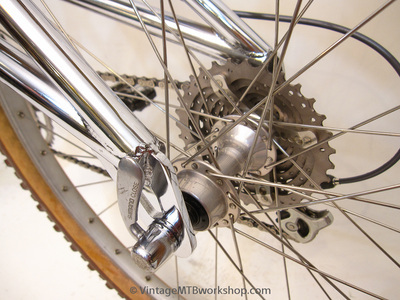 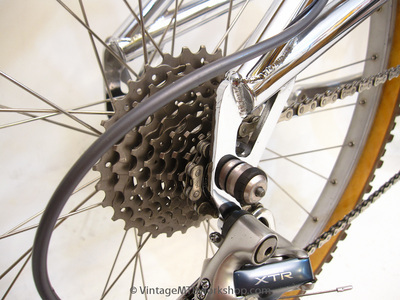 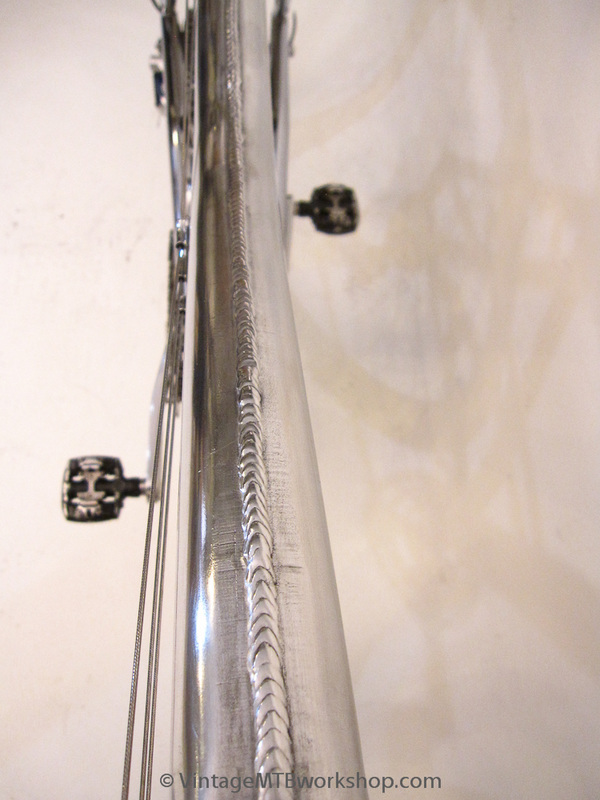 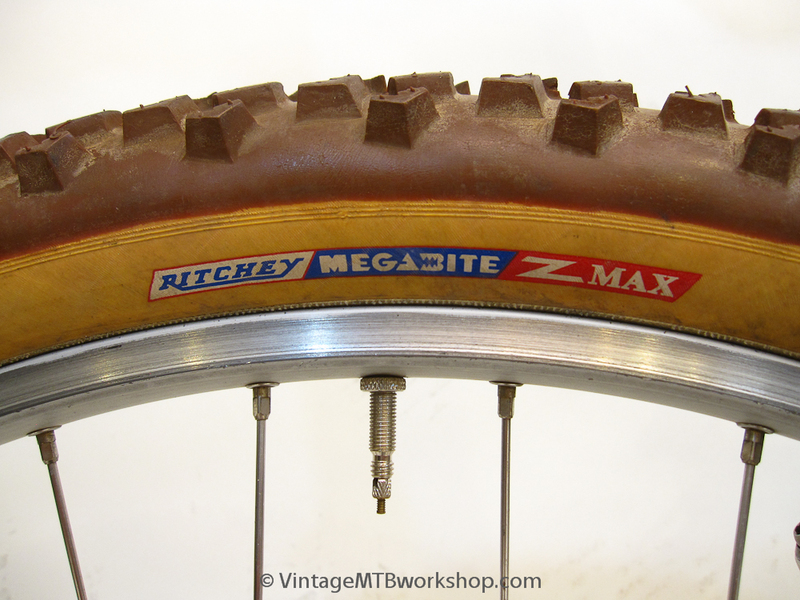 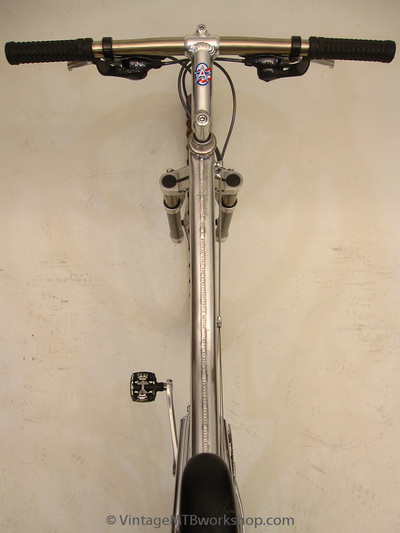 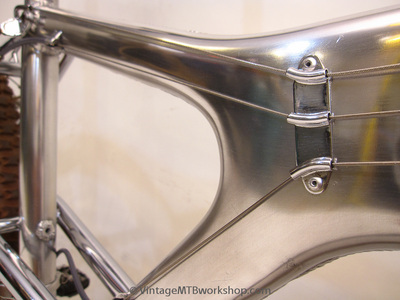 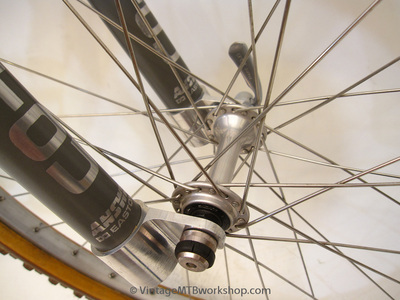 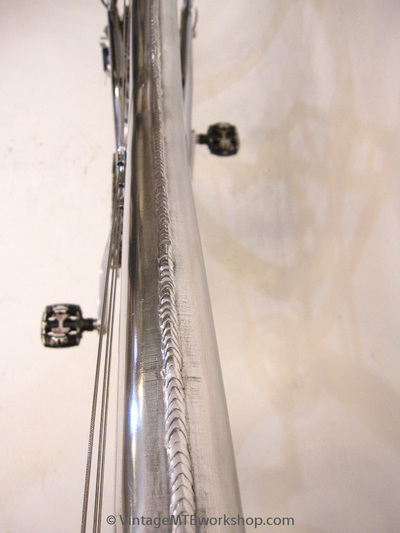 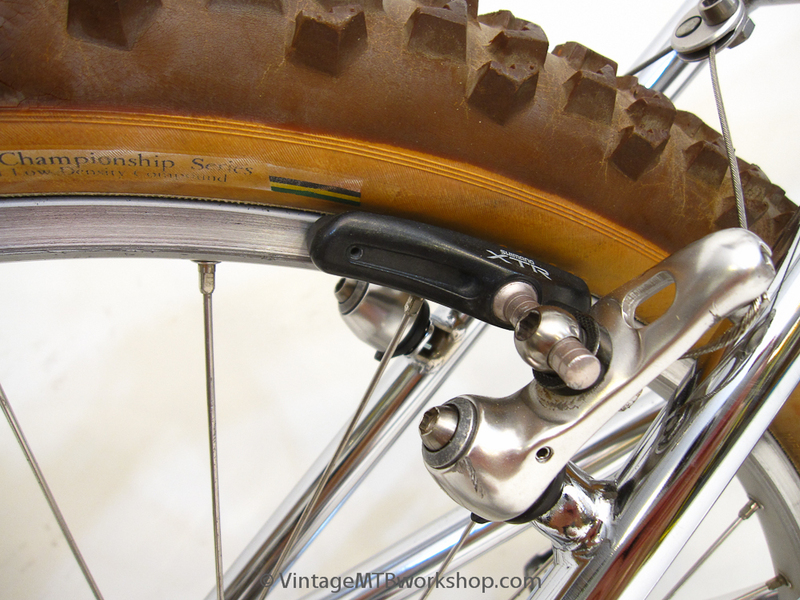 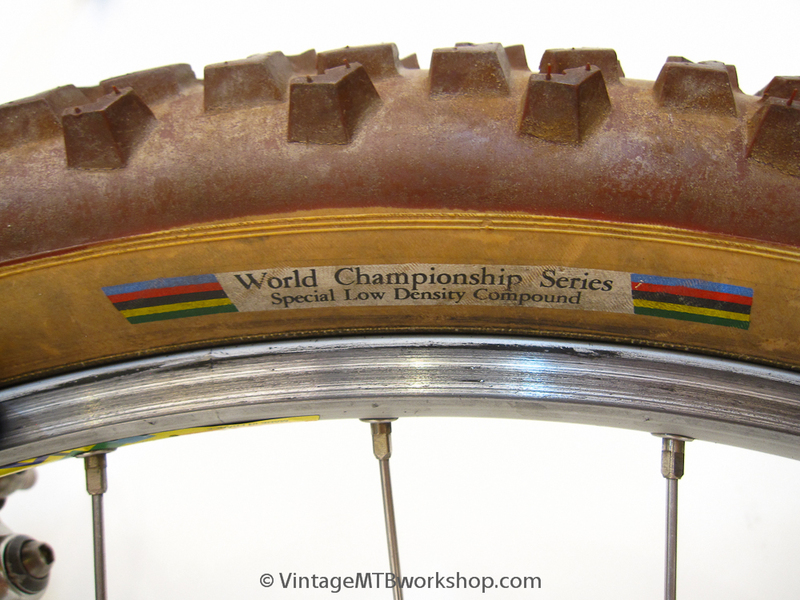 Two pressed aluminum sheet metal halves were welded together around their perimeter, with the incorporation of a traditional seattube and an encapsulated headtube. 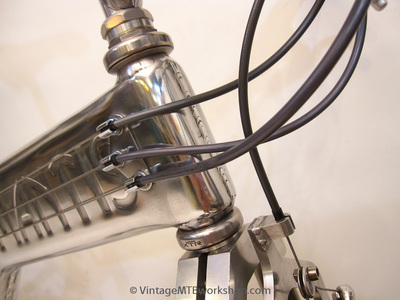 The three control cables were strung together on the right side of the frame, appearing like the strings of an electric guitar. 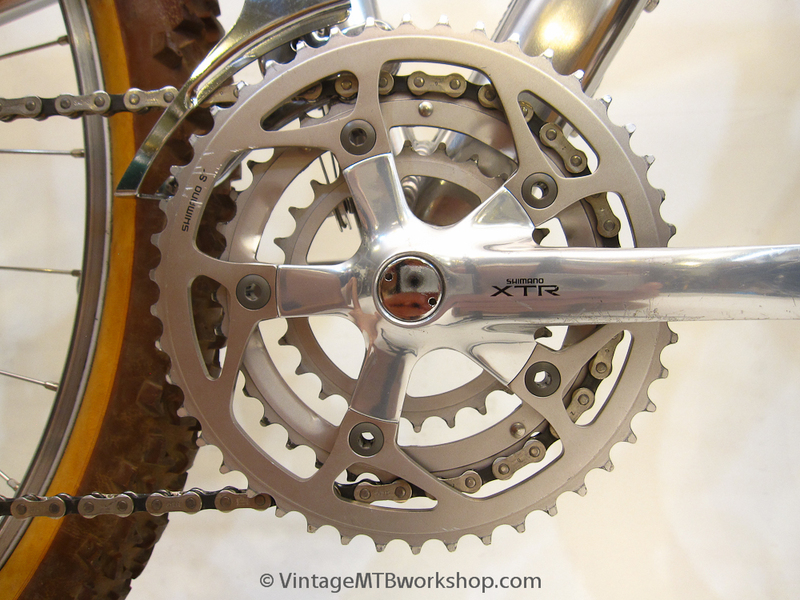 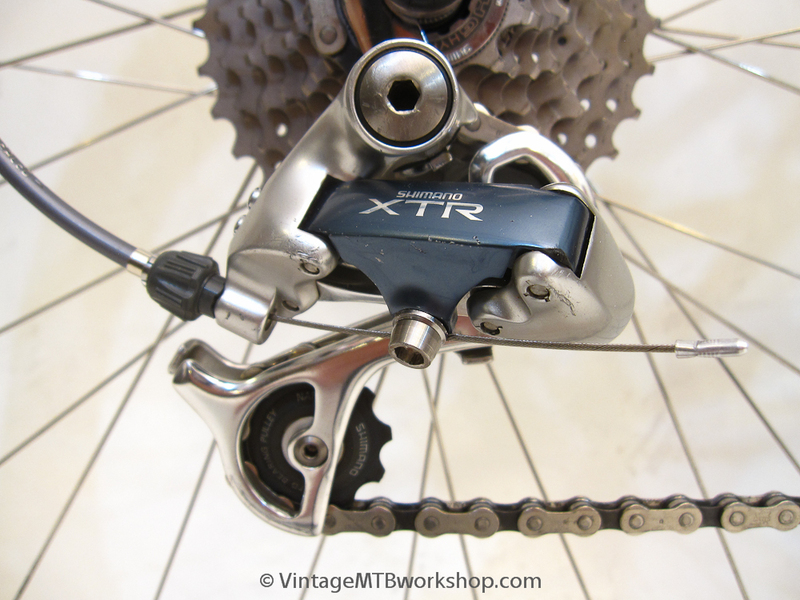 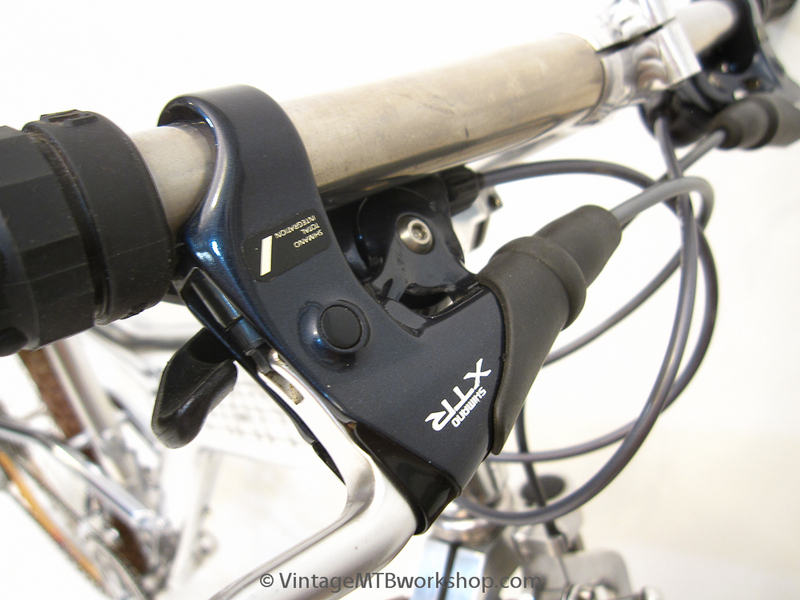 This particular bike is built with a complete Shimano XTR M900 component group with a 39 piece SRP titanium bolt kit. 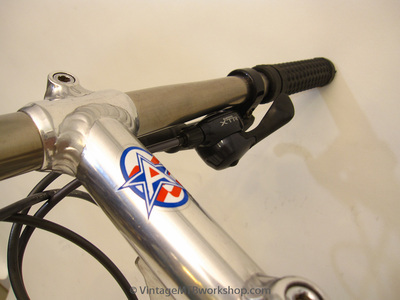 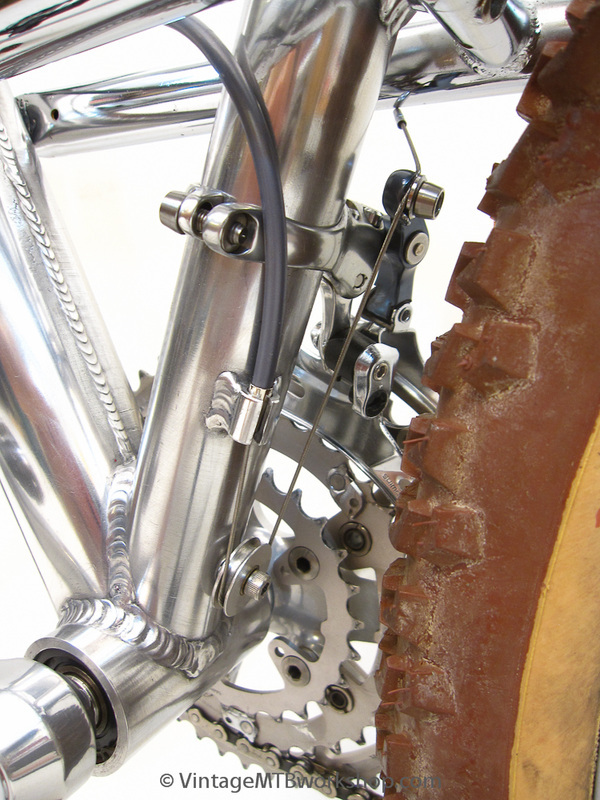 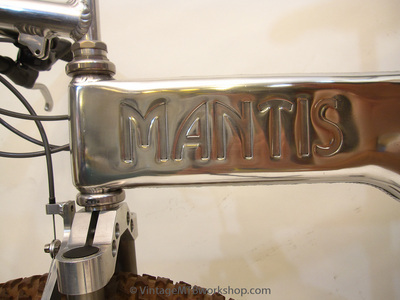 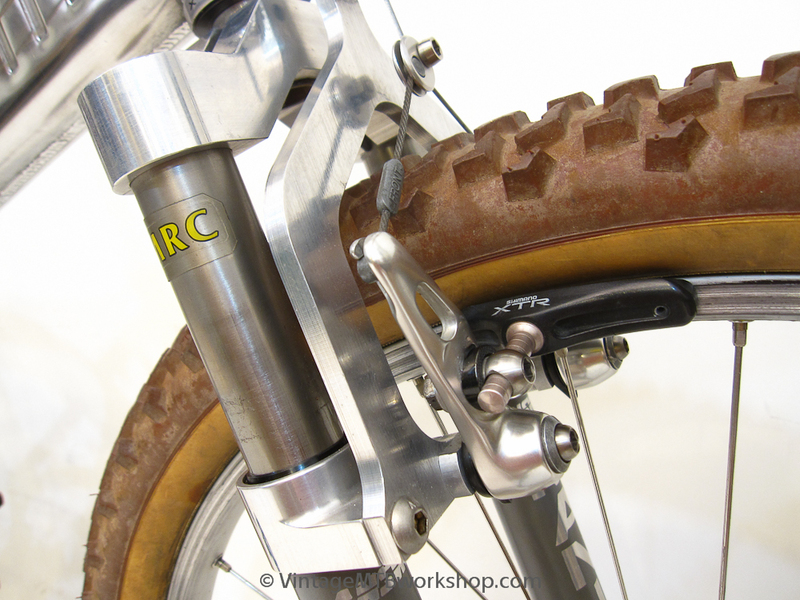 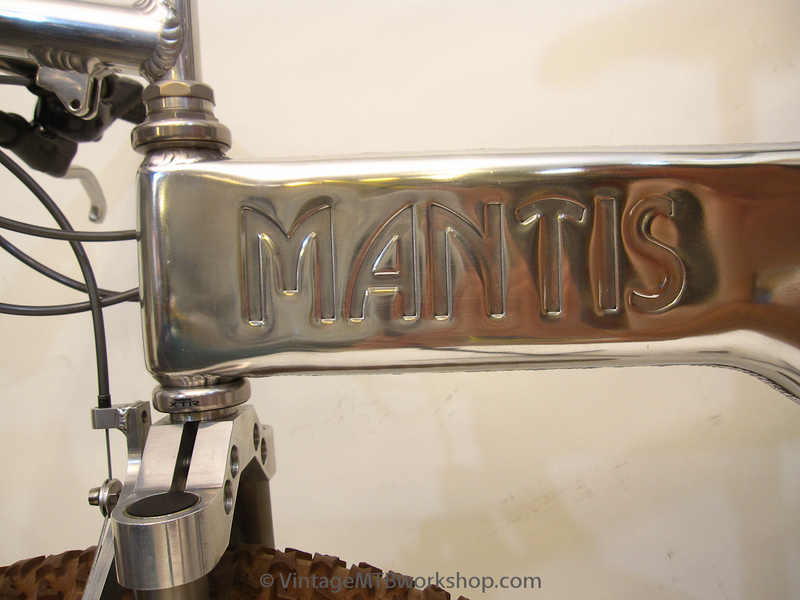 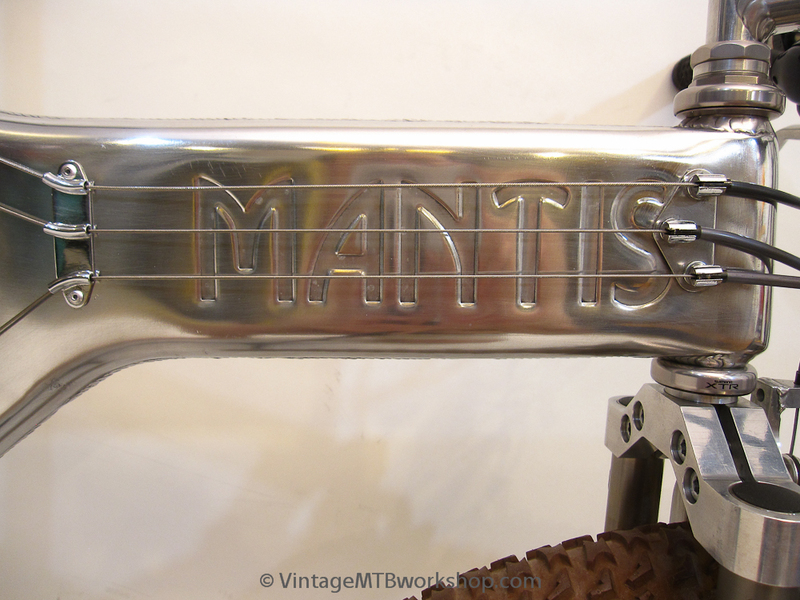 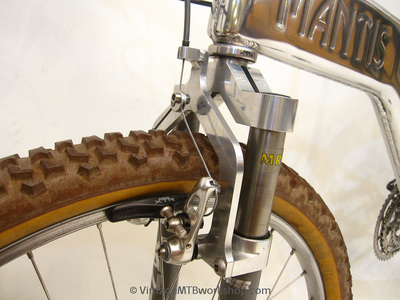 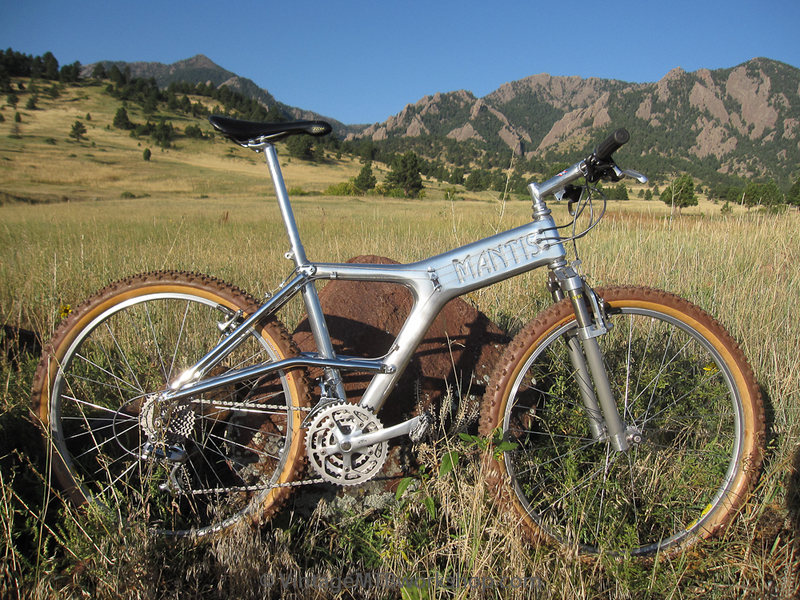 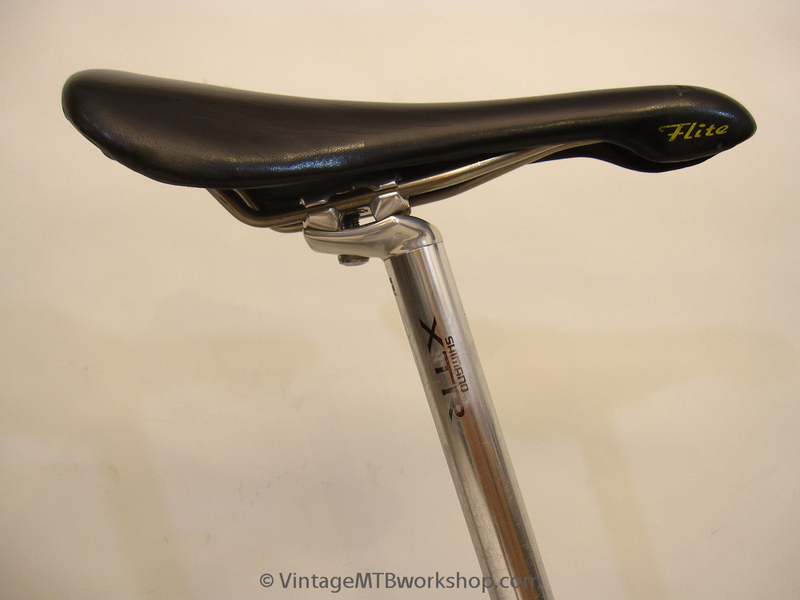 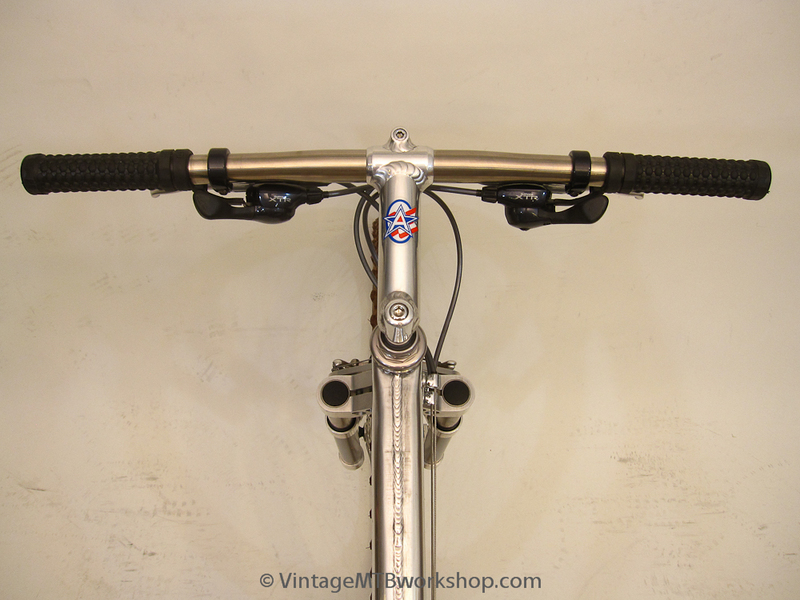 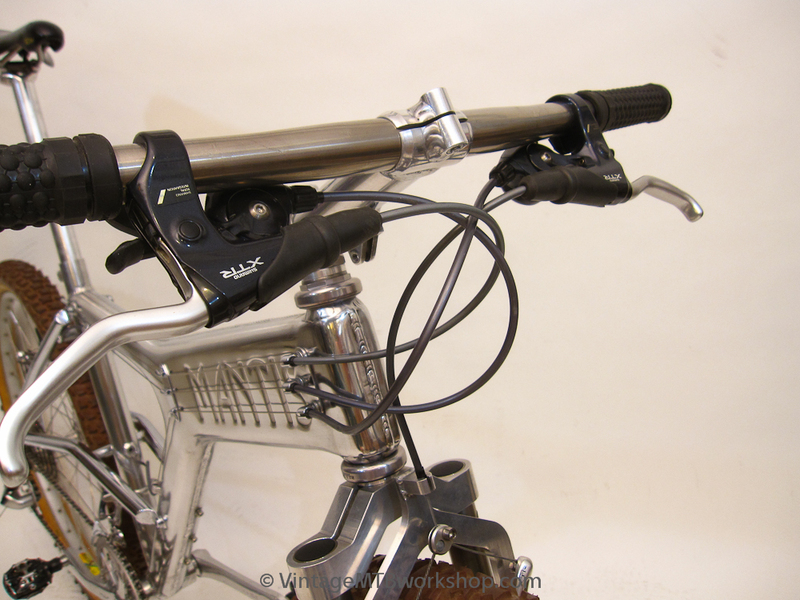 The Manitou fork has aftermarket titanium stanchion and steerer tubes.